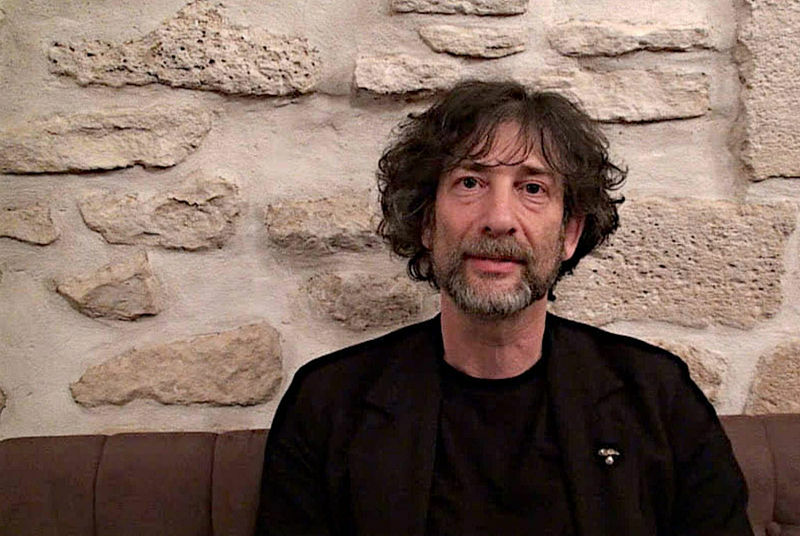 Neil Gaiman has just agreed to do a dramatic reading of the Cheesecake Factory menu, which is nearly the size of a Bible. But there's a catch – the Coraline author will only do the reading if $500,000 has been raised for a charity of his choice, which happens to be the United Nations Refugee Agency. "Dear @neilhimself: for $500K to the charity of your choice would you read the Cheesecake Factory menu in its entirety onstage pls advise." Benincasa told Eater that her tweet was inspired in part by watching the television adaptation of one of Gaiman's most famous books. "If we hit $500K, Neil has kindly agreed to do a live reading of the greatest restaurant menu of all time. It's about 8000 pages, last time I checked," Benincasa wrote on the site. "Have you heard Neil's voice? Mellifluous, I tell you." So if you want to hear all about the Glamburgers, Skinnylicious victuals, cheesecakes galore, and the millions of other Factory menu items read in Gaiman's "mellifluous" voice, you can chip in at Crowdrise to make it happen.